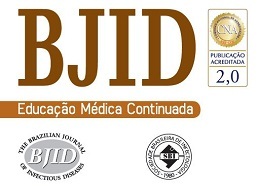 The Brazilian Journal of Infectious Diseases is a fullyopen access journal. Once published, your article will be immediately and permanently available for readers to read, download, and share. Readers will be able to access your article freely on ScienceDirect. The article publishing charge (APC) that authors, their institutions or funding bodies pay, covers all expenses needed to support the publication process. For articles submitted from 16 th July 2018, the APC to publish a paper in the Brazilian Journal of Infectious Diseases is USD 1,500 for original and review articles, and USD 600 for case reports, short communications and letters. Once the manuscript has been approved, the corresponding author will receive the instructions for the payment of the publication fee. Creative Commons Attribution-NonCommercial-NoDerivs (CC BY-NC- ND): allows users to copy and distribute the Article, provided this is not done for commercial purposes and further does not permit distribution of the Article if it is changed or edited in any way, and provided the user gives appropriate credit (with a link to the formal publication through the relevant DOI), provides a link to the license, and that the licensor is not represented as endorsing the use made of the work. The full details of the license are available at https://creativecommons.org/licenses/by-nc-nd/4.0/. Find out how you canshare your research published in Elsevier journals.